Our game-changing Flawless Blending Glove ensures a streak free spray tan finish, and our Flawless Bronzing Mist self tan has a pleasant light vanilla honey scent, dries in 10 seconds, has little to no transfer and achieves a natural sun-kissed olive colour. Enjoy an effortless golden instant tan with no heavy chemical self tanning scent. 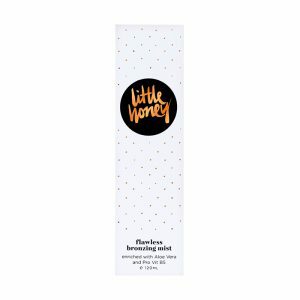 With Little Honey self tan you can spray tan on, blend and go – in 10 seconds flat, with a natural summertime glow! 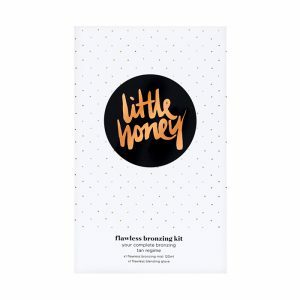 Crafted right here in New Zealand, Little Honey self tan products are completely cruelty free, paraben free, and nasty scent free! 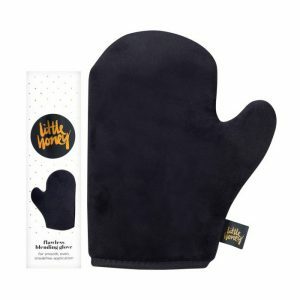 With a light vanilla honey fragrance and a 10 second self tanning spray and go time, Little Honey is kind to your body, and to animals. Not only that but our instant tanning spray comes with a bespoke glove to blend your self tan perfectly for a perfect photo finish. 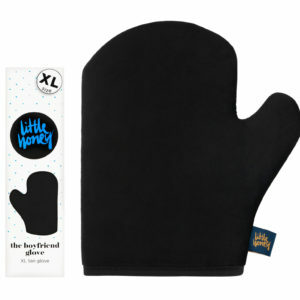 You can earn Little Honey Rewards, and we’ll send you your self tan in an eco-friendly paper courier bag! Self tanning has never been so easy, or so fast!